100 year old hunting lodge is now open with 7 aesthetically furnished rooms. Nestled in the foothills of the Aravali range, surrounded by beautiful fields of Organic farming. One can even meet Ganga & Jumna the two beautiful red cows and their little ones who are fed on organic fodder to insure wholesome fresh milk. 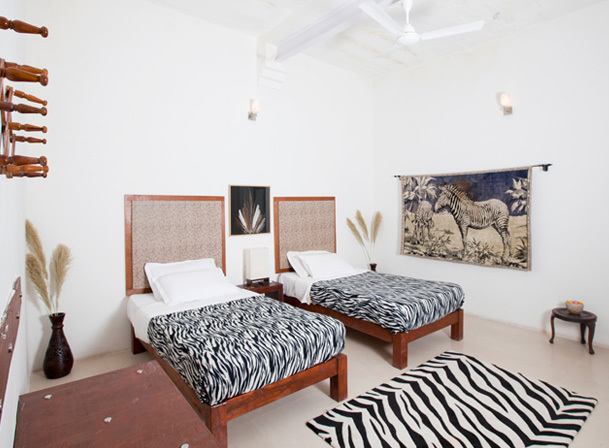 Tastefully decorated two suites, with modern amenities keeping in mind the natural surroundings. 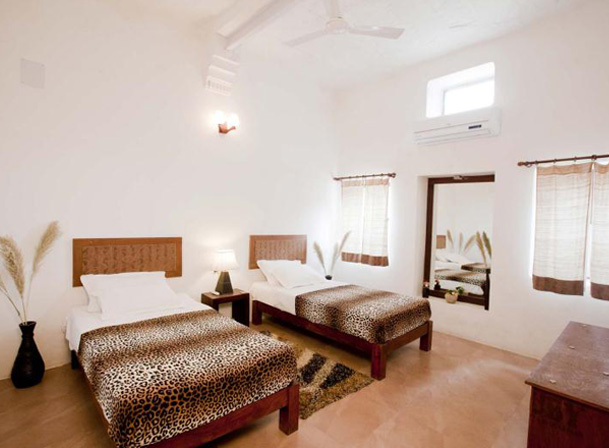 Five Deluxe rooms, amiably furnished. Reflecting the theme of the surrounding wild life. If you are looking for a true Jungle lodge than this is the place to be ! Surrounded by the Aravali hill forest ,the serenity here will imbue a calmness within. We got the serenity, the quiet surroundings, the lovely hospitality. It was a very relaxed and enjoyable experience. The trek in the jungle was very nice. visited the place during the peak of winter season and absolutely loved every bit of it. It is amidst the Kumbalgarh national forest and the view from every corner is stunning.